The economy seems to be leveling out but that doesn't mean that we're out of the woods yet. In light of the current economic situation, last month we gave away a bunch of tokidoki Moofia figures, as well as the Sir Shilling figures from Doktor A's Mechtorians series. This month we wanted to continue our giveaways so you continue to get more bang for your buck. From May 1st through May 8th, we will be including a FREE 3" Ningyoushi Get Small Series Sam Flores Billy Bronze Pink Book Edition figure with every order, no matter how small! This figure is a color variant of one of the Get Small SF series of 3-inch toys by Ningyoushi. The artist, Sam Flores, released a book a little while after the SF series dropped, and Ning released a special Pink version of his Billy Bronze figure to coincide with the book release. We bought a bunch and we still have some, so hopefully if you are not familiar with Sam Flores' amazing artwork, this mini figure can serve as a bit of an introduction. We really appreciate all the business you guys gave us during April. 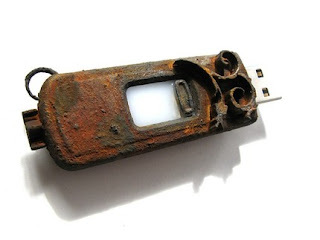 For less hazardous USB drives, check out the Mimobots in our store! NEW LOWER Fedex International rates! Recently Fedex has developed a new international shipping system which gives us much lower rates for international shipments. On top of that, I have personally renegotiated the discounts we get on our Fedex International Contract to give us substantial savings on the new International service! 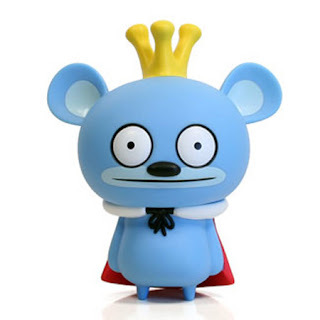 In real terms, here is an example: I just shipped a Horvath 5" Bossy Bear (+ a free tokidoki Moofia) to a customer in Singapore using Fedex Express Priority for $15.00! That is WAY, WAY lower than the rates we were getting before. Of course we are passing the savings on to you. Since we have a live shopping cart that talks to the Fedex servers to get rates, our international buyers will now see several different low-priced Fedex options as shipping choices during checkout. Oh and don't forget, we are still throwing in a free Mechtorians Sir Shilling Copperpenny with every $30+ order for another 3 days, till April 30th, so get your orders in now!